What is the American Work Visa? Besides being a country where many people go for touristic purposes, the U.S is also a popular working destination. People from all over the world want to work in the U.S because of the high salaries and good working environments. The temporary employees need a US non immigrant visa, while the sponsored employees need an Immigrant Visa. This article will cover all you need to know about being a temporary employee and getting a US work visa. The Work Visa USA is used for people to go and work temporarily in the U.S. for a specified period of time. The period of time that you will be working should be noted in the employment contract or the visa application. This type of U.S visa does not allow individuals to work in the U.S indefinitely or permanently. Applicants need to fulfill a list of US visa requirements and submit the documents specified in the next sections of this article to be eligible to apply for a temporary work visa USA. There are several types of US work visas depending on the purpose and the kind of work that you want to do. The visa allows journalists and those who work in the information or media sector to complete their work while in the U.S.
To help foreign nationals to come to the U.S and work in a religious organization. Only ministers and those who are directly tied to religious work are qualified. This visa allows lawyers, scientists, engineers, teachers from Canada to work in the US temporarily. For a general description of what each visa entails, visit the US Non Immigrant Visa article. You need to have applied for, and been accepted in a job position within the U.S in order to qualify for a work visa. That is because the U.S requires several documents from your employer before you start your visa application. This requirement means that before you apply for a US work visa, your employer must file a Petition for a Nonimmigrant Worker with USCIS. 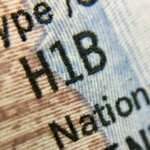 This petition, otherwise known as a I-129 form is the most important document for you to get your work visa. When USCIS approves your employer’s petition, you can start applying for the visa. However, if your petition is approved, that does not necessarily mean that the U.S Embassy will automatically give you a work visa. Due to reasons that might remain at the discretion of the Embassy, you could be denied the work visa even if your USCIS petition is approved. Some of the work visas, more specifically the H-1B, H-1B1, H-2A, and H-2B also require your employer to have a certification from DOL. Your employer should apply for the DOL on your behalf before even filing the petition with USCIS. The U.S government requires this certification as proof that U.S employers need foreign workers. They have to prove that they cannot fill those work positions with U.S employees. In addition, the certification is needed in order to ensure that temporary foreign workers are not having an impact on job opportunities for U.S citizens in a negative way. US visa photo – which you need to upload when you fill out the online application form. The Receipt Number, which you can find on your approved Petition for a Nonimmigrant Worker (I-129 Form) which your employer filed. A confirmation page that you have completed your Nonimmigrant Visa Application (DS-160 Form). Receipt that proves that you have paid the application fee. For US work visas, the application fee is $190. There might also be additional fees that apply to your location, so you should check with your local U.S Embassy about more details. For those applying for an L Visa, you will also need to have a filled I-129S form (Nonimmigrant Petition Based on Blanket L Petition). You should bring this form with you when you have your visa interview. Besides these general requirements, which apply to all those who want to get a U.S work visa, there might also be other documents which you need to submit. You should contact your local U.S Embassy for more detailed information. The information you enter into the DS-160 form must all be correct. If you submit any incorrect information, the Embassy will have reason enough to deny you the visa. In addition, the DS-160 form is available in many languages, but your answers must be in English. 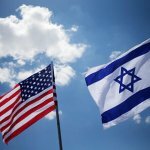 Due to the high number of applications that U.S Embassies receive, you should make sure that you schedule your interview as soon as you meet all the requirements. If you are younger than 13 years old or older than 80 years old, a visa interview is generally not required. As for people between the ages of 14 and 79, interviews are required, but there can be exceptions if you are just renewing your visa. 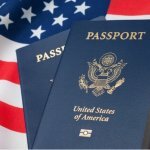 Your interview and the information on the DS-160 form will serve for the U.S Embassy to make their decision on whether you should be given a visa or not. That is why, it is highly important that you show up to the interview on time, dressed appropriately, and with all the necessary documents. In addition, you should answer all questions as fully as possible, always giving true information. Visa interviewers are trained to detect when someone is providing false information, so if you do that, they will deny your visa. You will be required to give digital fingerprints before, during, or after your interview depending on your location, as well as pay any additional fees. After the visa processing, if the U.S Embassy gives you the work visa, you might also be required to pay a visa issuance fee. The amount of the visa issuance fee is determined based on your country of origin. Temporary Workers in the U.S have a set of rights, which the government grants them. They are protected from violations and exploitation, and can exercise these rights without being penalized. If someone in the U.S violates your rights and you report it, your visa will not be terminated and the government cannot force you to return to your country if your visa is still valid, only because you reported those violations. 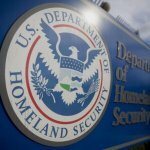 If the inspectors of Homeland Security and other departments allow you entry into the U.S, you also have the right to apply to extend your stay. However, once your visa expires, you cannot stay in the country unless the Embassy extends your visa. If you stay after your work visa is invalid, you might not be eligible to apply for one in the future. You also have the right to apply for a visa for your spouse or children in the same visa category that you have.